The last day of the conference continued on the momentum set from day one. The morning focused on Sisters who work in non-traditional fields, from steel mills to the fishing industry, proving that women can do it all and anything we set our minds to. 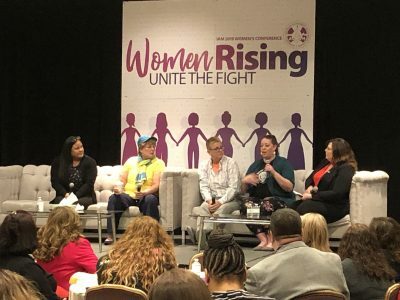 However, all panel participants shared that regardless of their skill and knowledge level, they had to work twice as hard just to get their male co-worker’s trust and respect. Julie Eaton who belongs to the Lobsterman Union is a fisherman, which to her is just a term. She explained that “I’ve had to work real hard to earn to be called that.” She believes she’s set a good example as her nieces, granddaughters and one great granddaughter all fish. She is a strong advocate for the fishing industry, having testified for over 100 bills, only ten of which were not successful in being passed. She is now running as the State Representative in Maine. The panelists also discussed that young women are not exposed to manufacturing and sciences, and they should know that those fields can offer great careers, good earnings, and more importantly financial independence. This is important as it sets women for avoiding living in a cycle of abuse. The conference was a great success, as many attendees were enthusiastic to take the information back to their locals and persevere despite obstacles they may face. 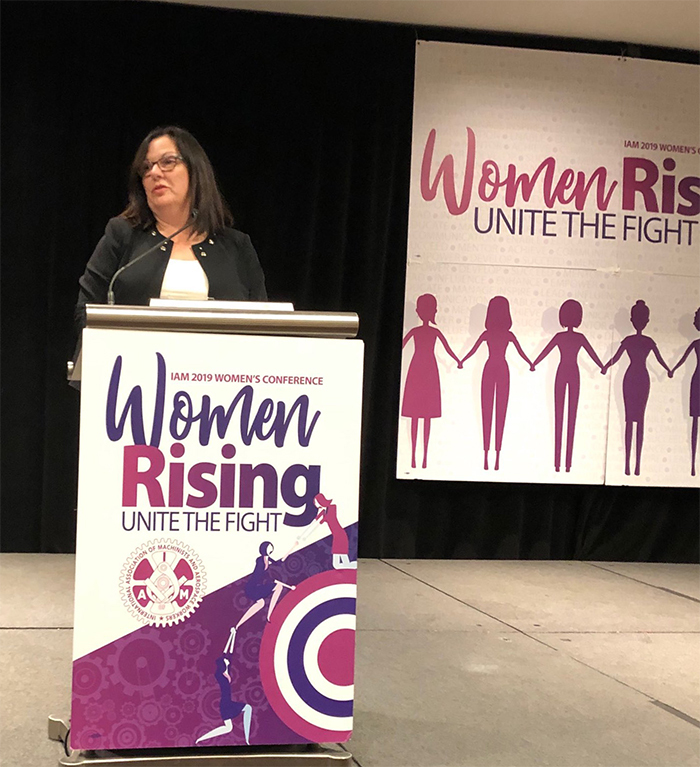 The Canadian delegates were inspired to immediately create a facebook page, IAM Women’s Committee CANADA, aimed at sharing information and more importantly, stay in touch with each other. It is truly exciting to see what the future holds for the Sisters of the IAMAW, but one thing is certain, their future is bright.